External Id plays very important role if you want to update records without knowing the record Ids or want to relate the child record with parent record without knowing the parent record Id. If no record is found in table with provided External Id, then it will create record in table. If 1 record is found in table with provided External Id, then it will update record in table. If more than 1 records is found in table with provided External Id, then system will throw an error. I am going to cover 2 different aspect of using external Id in apex. 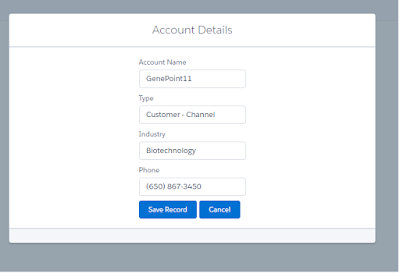 Create a External Id field on Account as Account_Unique_Number__c and mark it as External Id and unique while creating it.Now we will create a new record using upsert. As there is no record in Account with Account_Unique_Number__c as 00001, system will create a new record. This will create a new contact for Account which have Account_Unique_Number__c as 00001. In above code snippet, you can see that in order to relate contact with account, we are not specifying the account 15 or 18 digit record id. 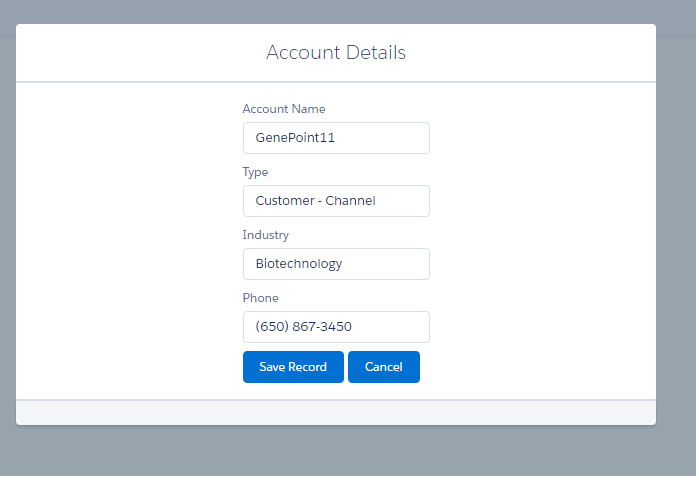 We are just specifying the external Id of account and system will maintain the relationship. Why it is recommended to mark External Id as unique? Imagine you are creating a contact and specified External Id of parent. Suppose there are 2 records in account table with same value, then system will not able to identify with whom it needs to relate the contact and will throw error saying more than 1 match found. Same is applicable when you update the record with External Id. Today I am going to walk through a new feature introduced by Salesforce - Lightning Data Services. This is not yet generally available. It is available as developer preview. What is lightning data services? Lightning data services allows you to view, create, update and delete a record without using server-side Apex controllers. You can compare this with Standard Controller on VF page which allows you to read, create, update or delete records by providing in built functions like Save, Edit,Delete etc. Other benefit of using Lightning data services is that all records are cached and shared across all components. This improves the performance because record is loaded only once. If any component modifies the record, then other component using this records get notified and refresh automatically. In order to use Lightning data services, you need to use force:recordPreview tag and need to specify recordId while performing any operation. Now we will cover how to use Lightning data services for different operations. In order to Load record information on lightning component, you need to pass recordId. It is similar to pass id parameter in URL in VF page while using standard controller. Before Summer'17 below was syntax which is now depricated. recordId: It is 15 or 18 digit recordId. targetRecord: This contains complete info about record. targetFields : A simplified view of the fields in targetRecord, to reference record fields in component markup. targetError : This specify any error if lightning data services is not successfull in geting record details based on recordId provided. For editing records, you need use same force:recordPreview tag and you can use additional attribute mode to specify you are editing record. For creating a new record, you need to use same force:recordPreview tag but no need to specify the recordId attribute. 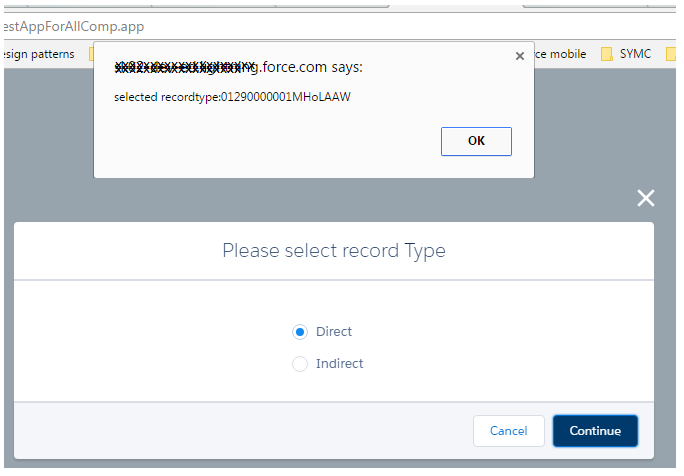 In VF page, if you do not pass id parameter in URL and using standard controller, Save action creates new record in salesforce. Same way in Lightning data services, you do not need recordId for creating record. You need to create a template of record so that it can be used to create new record. It is similar to initializing the sobject to avoid null pointer exception in apex controllers. In above code "newAccount" and "newAccountError" are component attribute which store information related to Lightning data services. For delete also, you need to use force:recordPreview tag and need to specify the recordId and in fields specify Id. 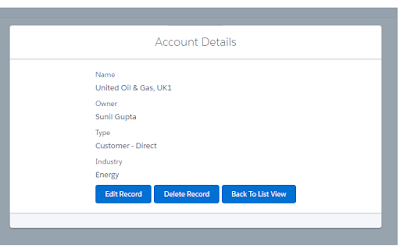 I have created a component which will will display list of Account by using Apex controller and then I am creating, editing, viewing and deleting records using Lightning Data Services. For all DMl operation on this component, I am not using server-side apex controller and performing these operations using code snippet shown above. AccountListView : This will display 10 Accounts and will use controller method to get list of accounts. AccountView : To view account details. We will just pass account recordId to this component. AccountEdit : This will be used to edit or create new record. If we pass recordId to component, then it will update record. If we pass null in recordId then it will create new record. After saving below code in your org, create App Page from Lightning App Builder section and add "AccountListView" component to it and activate it. After this open this app page and test the functionality. 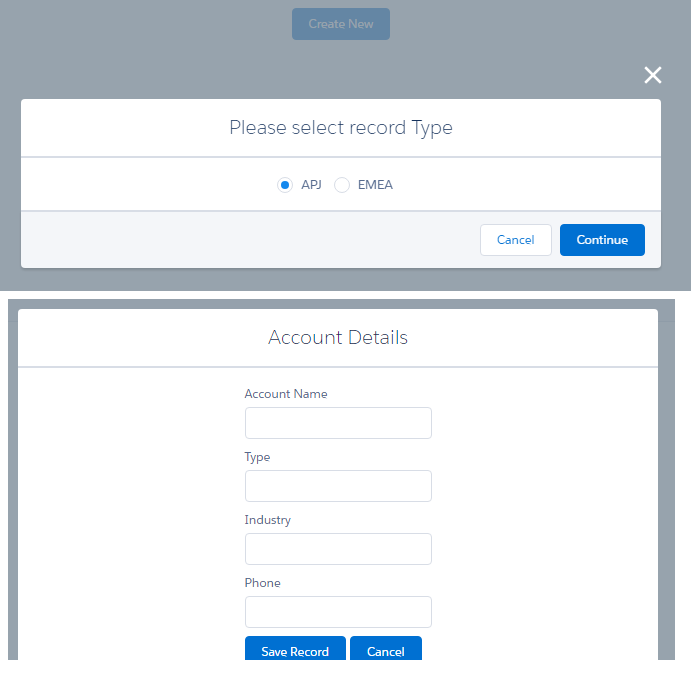 If your org have recordtypes defined for Account object, then while creating new Account, you will get recordType selection page. No validation have been applied on fields as this is created for demo purpose only. Looking forward for everyone's comments and feedback!!!!! 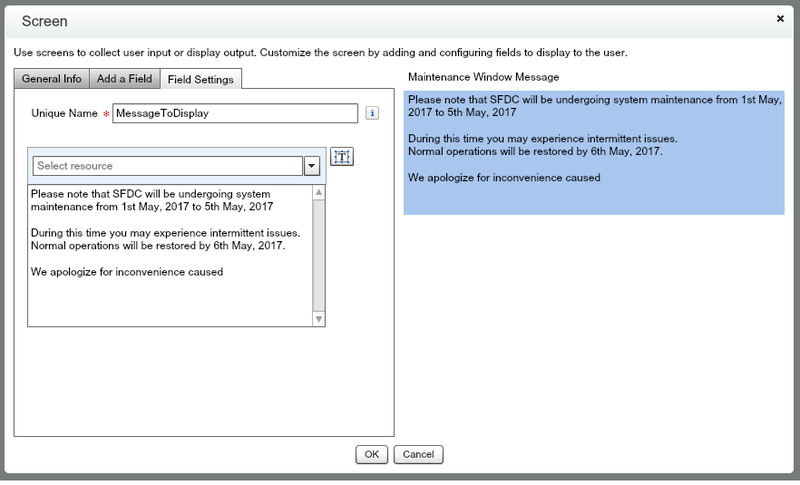 Sometimes it is required to display some message to SFDC users when some maintenance or migration activity is getting performed in production. For example, during some major project release which may take many hours or many days for metadata and data migration, you want to display message to SFDC user saying "Maintenance is in progress and you may experience intermittent issues". 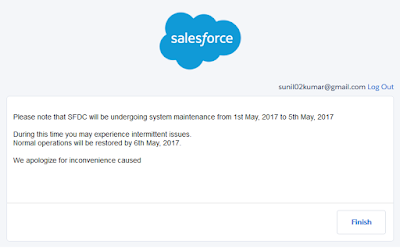 You might have seen these kind of intermediate screen informing about Salesforce maintenance window after logging into salesforce. Login Flows allow administrators to display intermediate screen (Flow) once user is authenticated and after that user will be redirected to home page of salesforce. 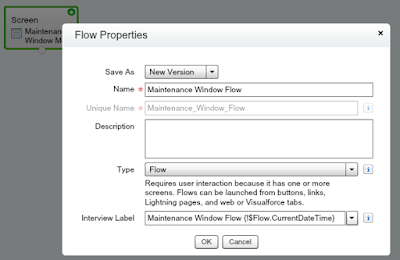 You can create a flow using flow designer and associate it with Login flow. As you already know that flow can be used to collect some information from users or to display some message to end users. 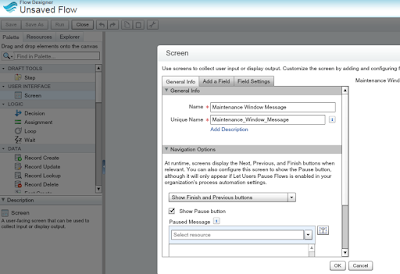 Using flow you can specify set of screen to capture data from user or navigate the user's to set of instructions. 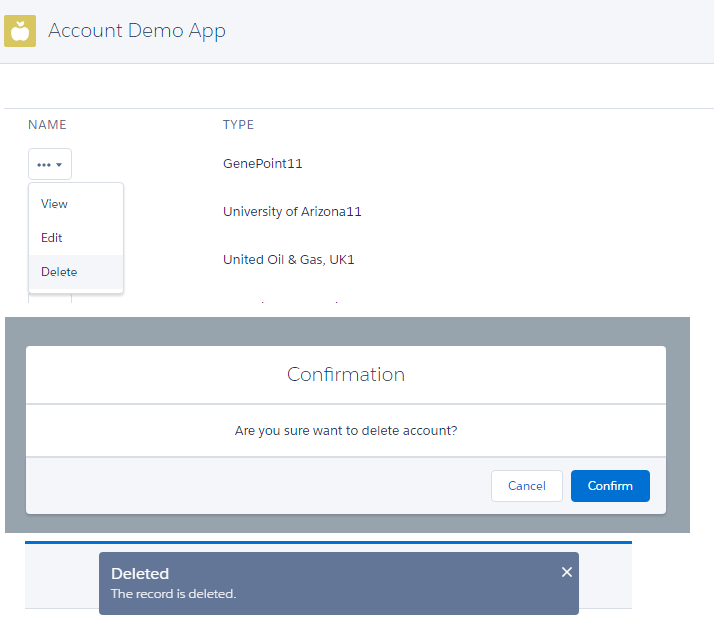 The login flow screens are embedded within the standard Salesforce login page for uniform user experience. You need to associate Login flows to different profiles. So all user related to that profile will see flow screen after authentication. Login Flows can be applied to SFDC Orgs, communities and portals. Navigate to Set Up--> Create-->Flow. Click on New Flow button. 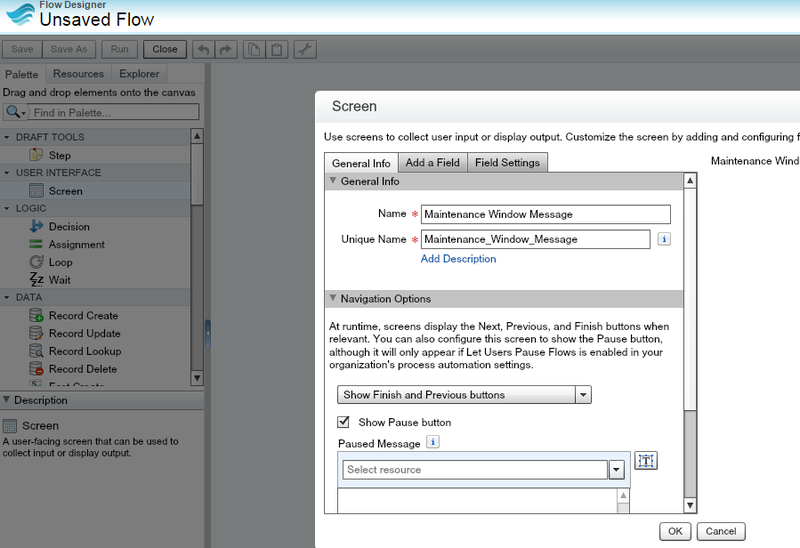 This will open Flow designer screen. 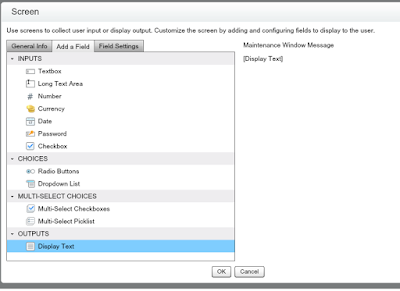 Drag Screen Palette from left side and name it as "Maintenance Window Message". Now Click on "Add a Field" tab and double click on display text. Now click on "Field Settings" tab and click on display text. Give unique name as "MessageToDisplay". 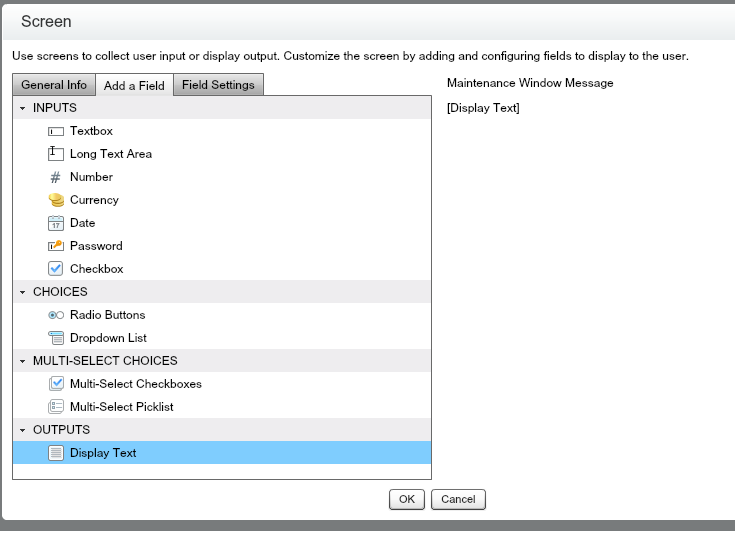 Specify the message which you want to display to end User and then click Ok.
Mark screen as start element for you flow by clicking on green down arrow as shown below. 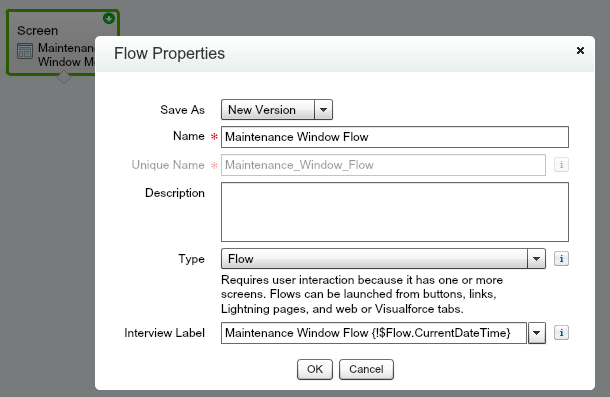 Now Save flow by clicking on Save button and name flow as "Maintenance Window Flow". Now Close the Flow and Activate it. Click on Activate link. Remember only active flow will be available for login Flows. Navigate to Set Up-->Security Controls-->Login Flows. Click on New Button. 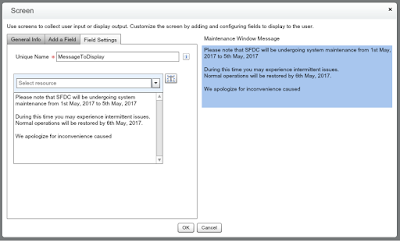 Specify name as "Maintenance Window Message" and select license and profile. Profile list depends on license selected by user. In this way you can create multiple entries for different profiles. Now you login into Salesforce to test this. Once you specify your username and password, you will see below message screen. You can just delete the login Flows records after maintenance window so that users will not see this message after login. I have created a lightning component which can be used to display recordtype selection screen to user. You can just specify the object API name as an attribute and it will display the active recordType for that object. Below mention code implement the concept of passing inner wrapper class to lightning which was mentioned in my previous blog Passing Inner Wrapper Class to Lighntning Component. Below is sample code for this. Hope this will help !!! !